Calgary-headquartered Pembina Pipeline and Kuwait’s Petrochemical Industries Company planned for the construction of a US$4.5 billion propane dehydrogenation and polypropylene facility in Alberta, Canada. Upon completion of front-end engineering and design (FEED), the facility is expected to produce 550,000 mt/year of polypropylene while consuming 23,000 b/d of propane from Pembina’s Redwater fractionation complex in Alberta and from other facilities in the region. 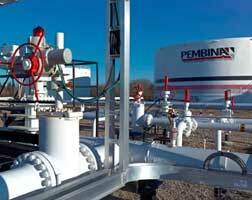 Pembina anticipates that its production will exceed the local demand in the Western Canadian Sedimentary Basin (WCSB) fourfold. Part of WCSB region includes southwestern Manitoba, southern Sasketchewan, Alberta, Northeastern British Columbia and the southwest corner of the Northwest Territories.